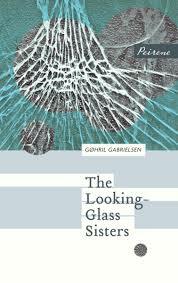 Gohril Gabrielsen’s The Looking-Glass Sisters, despite its pretty title, is an ugly book. Its titular sisters live together – or more accurately co-exist – in the house where they grew up, the older, who narrates the story, has been crippled from childhood, dependent on the younger, Ragna, for her care. Both are immersed in their personal unhappiness, resenting the dependence from each side of the relationship – until, that is, Ragna meets a man, Johan, and the dynamics begin to change. The irony of the title is that each sister feels she perfectly understands the other but neither of them sees themselves clearly. 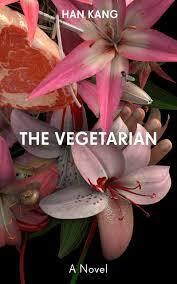 The narrator is frightened of the dissolution of their own relationship and of her sister’s apparent happiness. Her fears are not groundless: the intention to place her in a nursing home is real, and Johan will not even talk to her, instead directing comments about her to her sister. Her reaction to this is to become an irritant, insinuating herself into their company. Gabrielsen is very good at unearthing the pettiness at the heart of much of the novel’s rage. The use of the single toilet is one battle ground; Johan usurping the narrator’s chair is another. She is also adept at immersing the reader in the physicality of the narrator’s world: her body, the house, her physical needs. The narrator’s contempt for her sister seems partly rooted in the idea that Ragna represents the physical world whereas she aims to exist in the realms of the intellect. Hence her need for books from the library, and the notes she makes in her copy of Home University; also her assumption that Ragna’s relationship with Johan is purely physical. Eventually, we ask ourselves how much her confinement to the house is a choice. Her banishment to the attic might be seen as an ironic reflection of her desire to place herself above others. 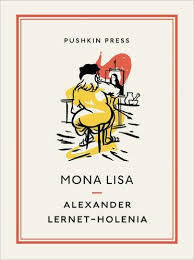 The Looking-Glass Sisters is not a pleasant read – you are entering a cold world without kindness – but I found its icy brilliance fascinating. Ultimately it is asking the question that all literature asks: how should we live our lives? You are currently browsing the 1streading's Blog blog archives for December, 2015.